What is a Plaintiff (in a Personal Injury Case)? A plaintiff is a person who has suffered some type of loss and is seeking compensation from the responsible party, who is referred to as the defendant, by filing a claim against them in court. In personal injury cases, plaintiffs attempt to demonstrate, by providing convincing evidence, that the defendant did something careless or irresponsible that caused the plaintiff’s injury. This could include an injury to his or her person, such as a broken leg, or property damage, such as a totaled vehicle. 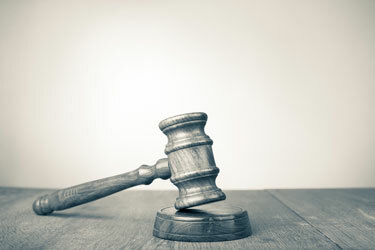 While successful plaintiffs are able to collect compensation for their losses in the form of reimbursement for medical expenses and other costs, filing a claim and establishing fault can be difficult, so if you were involved in an accident caused by another person’s negligence, it is important to speak with an experienced personal injury attorney who can walk you through the filing process. To initiate a lawsuit, a plaintiff must file a complaint in court that describes what the defendant did wrong. The defendant also receives a copy of the complaint and is given the opportunity to respond to the allegations it contains. Once these steps have been taken, a judge will set the official trial date and the lawsuit can proceed. The burden of proof is a phrase used to describe what a plaintiff is required to prove to establish that he or she has a valid claim. To meet the burden of proof in a personal injury case, a plaintiff must prove his or her claim by a preponderance of the evidence, which means that the plaintiff must present evidence that when weighed by the judge or the jury, is more convincing than the defendant’s. The plaintiff was harmed as a result of the breach. Whether a defendant owed a legal duty to a plaintiff depends on their relationship. For instance, a doctor owes a patient the legal duty to provide competent medical care. Drivers, on the other hand, are required to obey traffic laws and use reasonable care when driving. When a person who owes this type of duty to another does something that the average person would not do in the same or similar circumstances, he or she has breached that duty to the plaintiff. If a plaintiff can establish these elements, he or she will then need to show that the defendant’s unreasonable action caused their injury. To speak with an experienced personal injury attorney about your case, please contact Sutliff & Stout by calling or texting 281-853-8446 today. You can also reach a member of our legal team by completing and submitting one of our standard contact forms, including your name, the best way to contact you, and a brief description of your case.